Auburn has made changes since we last saw them take the field. A new Offensive Coordinator has taken the reins. Gus Malzahn has taken over play-calling duties and seems to have a completely different demeanor. Changes aside, Auburn faces a tough Purdue opponent that has the emotional edge. Auburn is focused on Purdue. Auburn is clearly the better team. Auburn needs to use this game to get back on track for next season. Outside of being in the CFP and NY6, most people don’t care about these throwaway bowls. Fans, players, and sometimes coaches all would rather move on. This Auburn team is different. This Auburn team wants to gain respect back on a national level and they know this bowl is the way to do that. 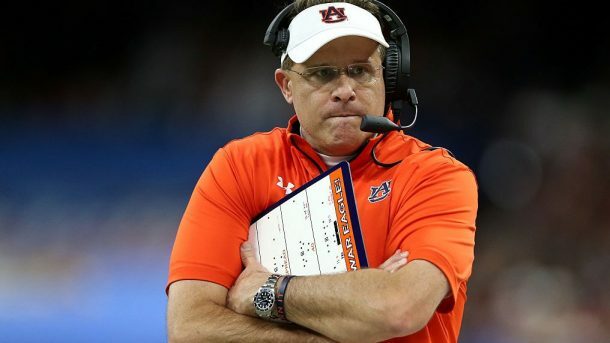 Gus Malzahn hasn’t looked this way since he last had play-calling duties. The hands-on approach that Gus has taken is refreshing to most Auburn fans. Gus wants this bowl win more than any other bowl win. Gus wants to gain momentum from this bowl and parlay into next season. Taking over the playcalling, Gus knows the offense must go. Gus loves the hands-on approach he’s taking. Gus knows that getting back to the basics, he can right the ship and get Auburn back at championship level football. Purdue clearly has an emotional edge. The Boilermakers have something and someone to play for. Tyler Trent’s story is, without a doubt, the most emotional story of this college football season. If you haven’t heard his story, check it out here. On a national scale, Auburn is playing the psuedo-villain in this game. The nation wants Purdue to win for Tyler Trent’s sake. However, when it comes down to it, the nation also knows that Auburn is the better team. Auburn has NFL talent all over their roster, while Purdue has a few people that will play in the league one day, namely Rondale Moore. Auburn’s entire team has a chip on their shoulder and want to prove that, as a team, they are better than the product they’ve put on the field so far this season. In the end, Auburn knows what they have to do. Gus knows what needs to be done. Gus knows the X’s and O’s and how to properly scheme against a mid-tier Big-10 team. Auburn’s defense is healthy and dialed in. Auburn knows that they are using this game as a foundation for next season.